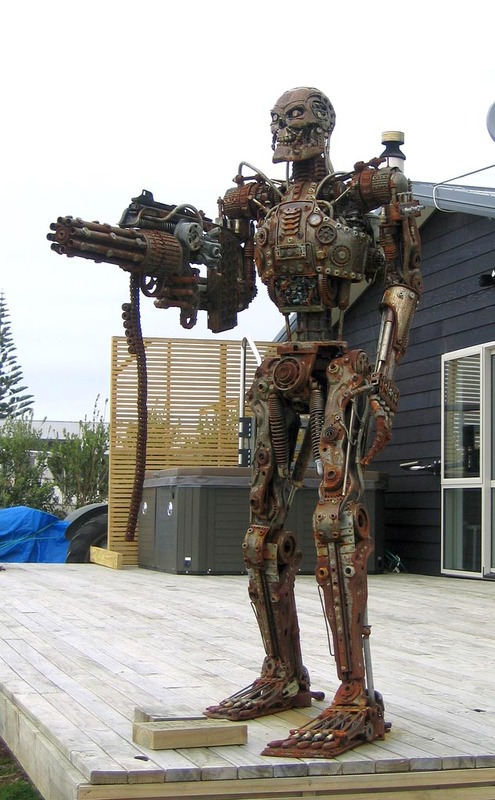 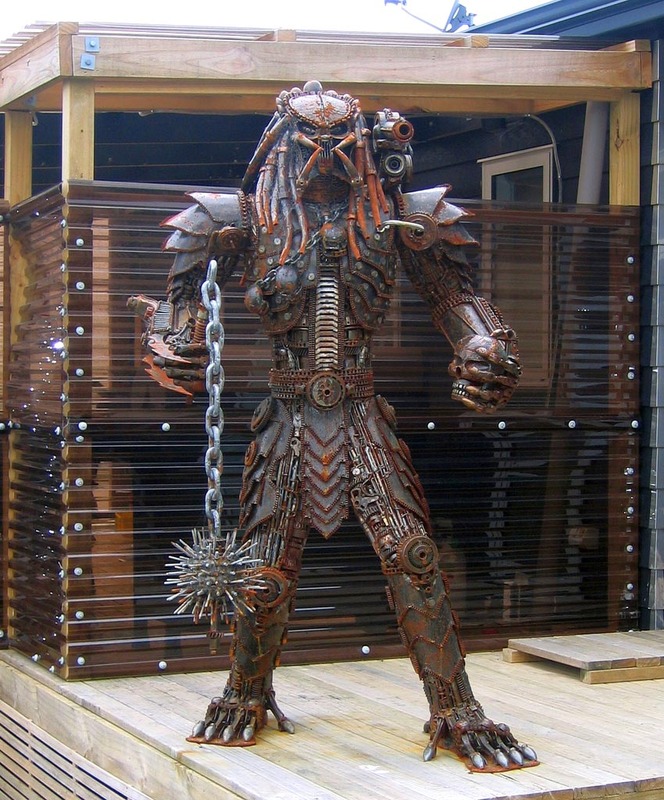 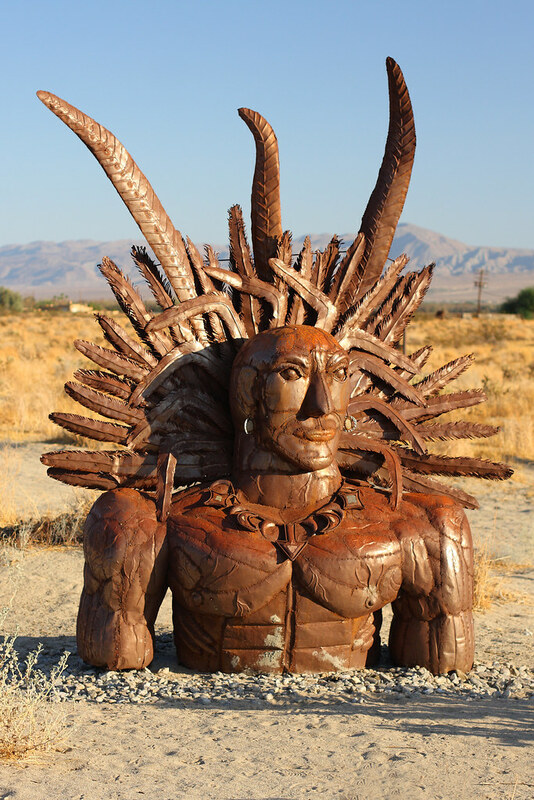 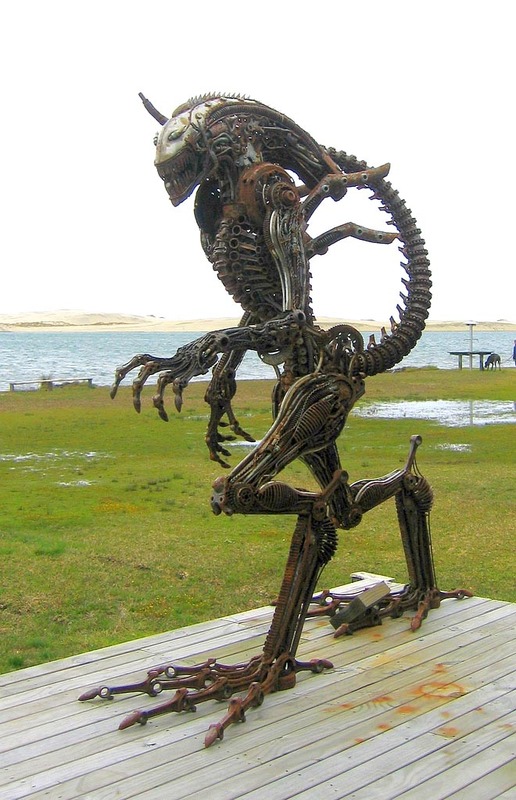 These sculptures were built from scrap metal, wire and reinforcement bars by sculptor Ricardo Breceda. 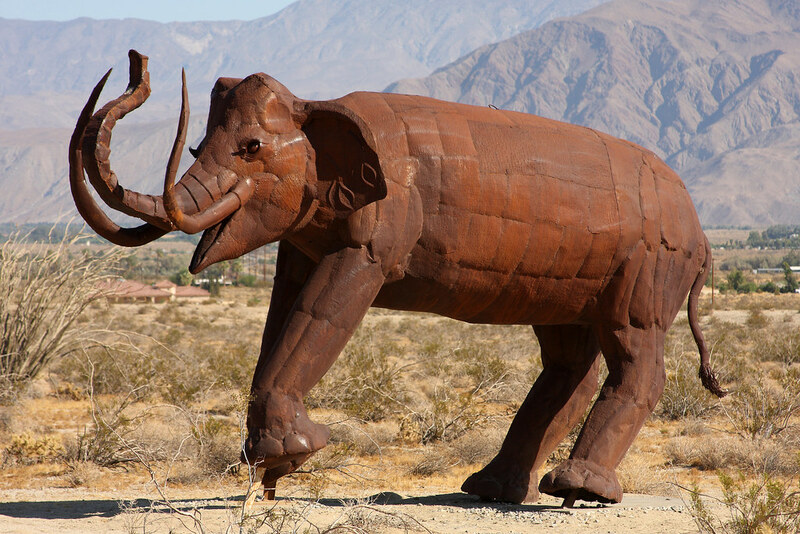 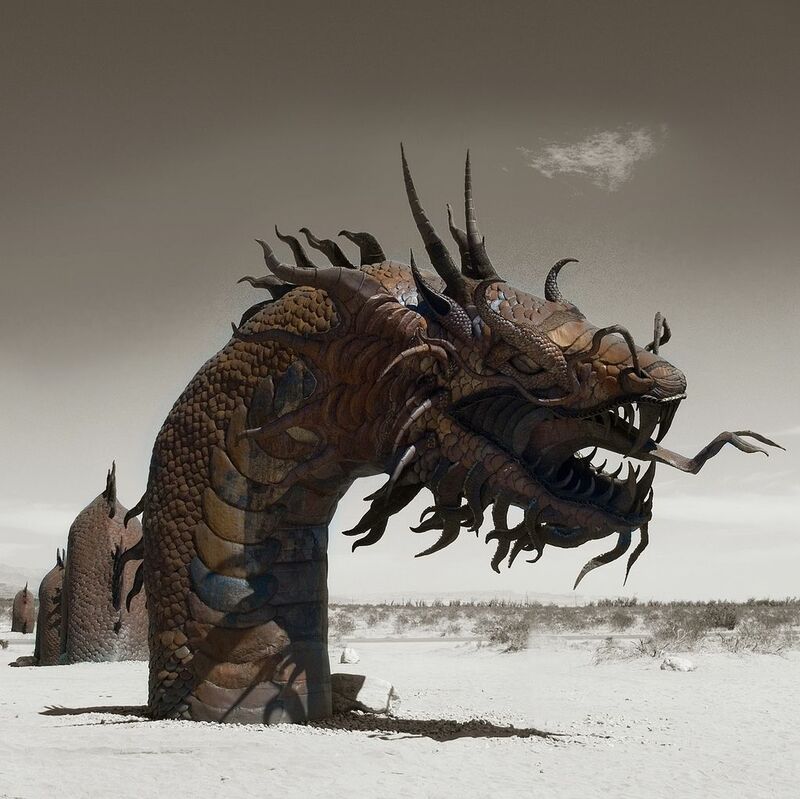 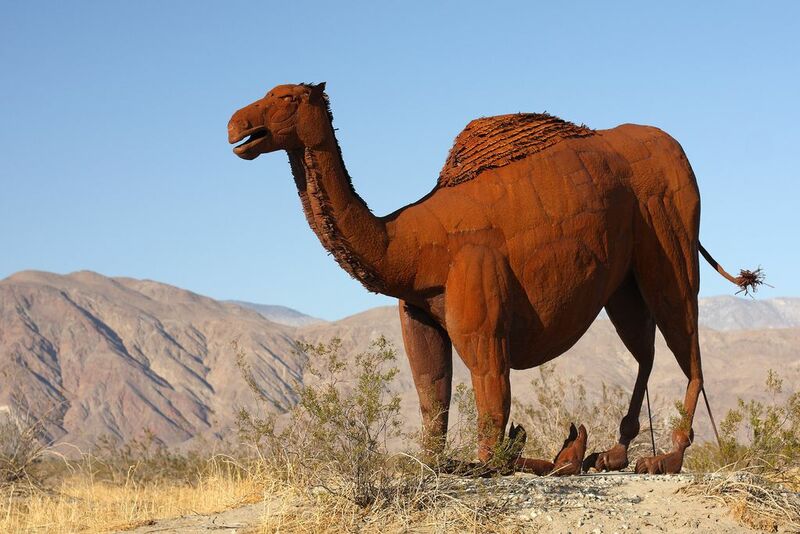 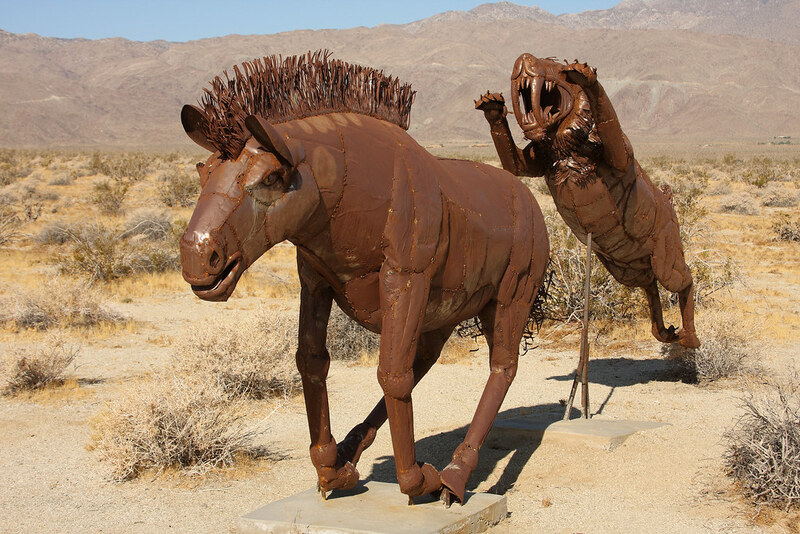 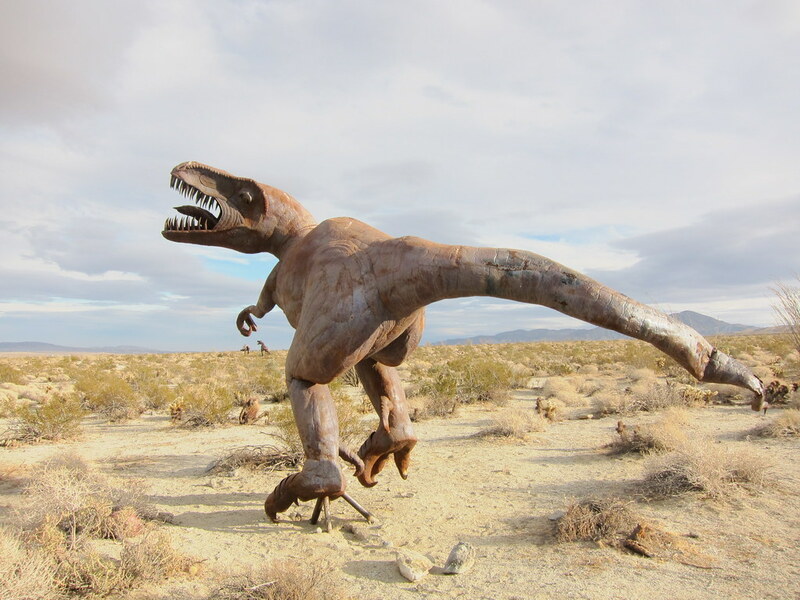 He created all the sculptures, including life size prehistoric creatures, elephants, camels, horses, dragon … The sculptures look like a natural part of the landscape, and from a distance appear very real. 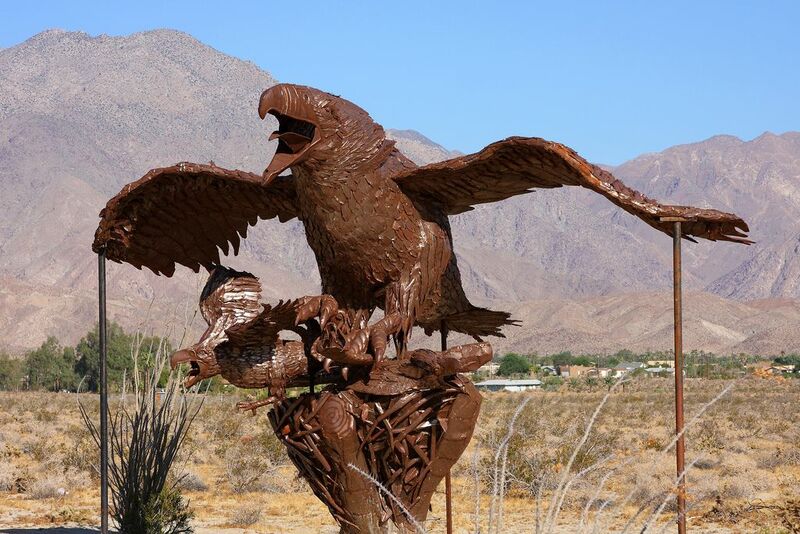 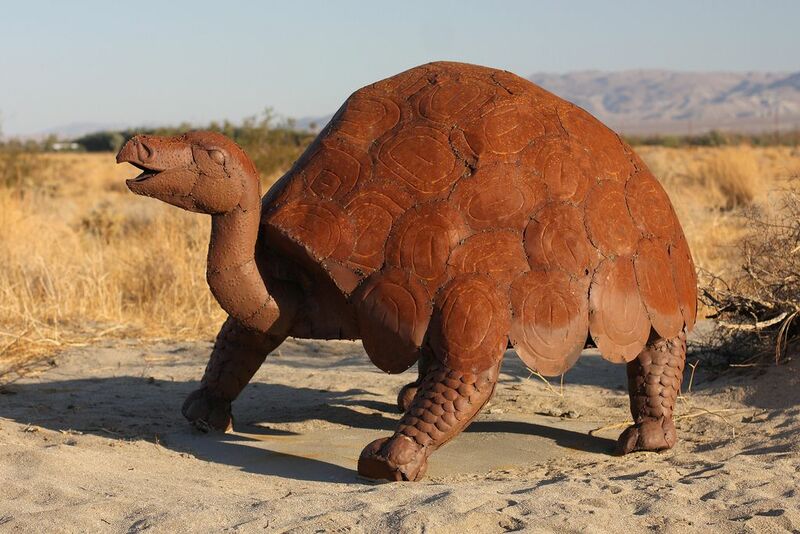 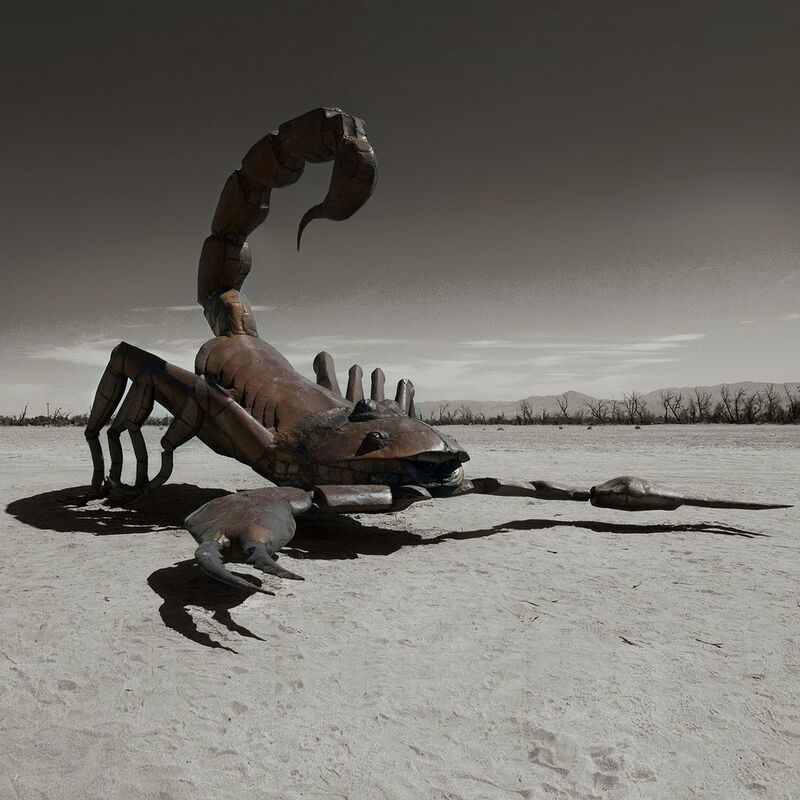 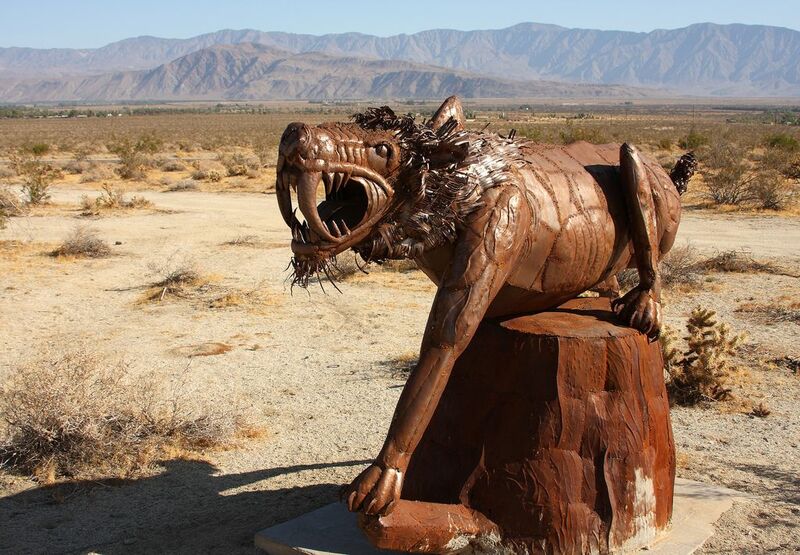 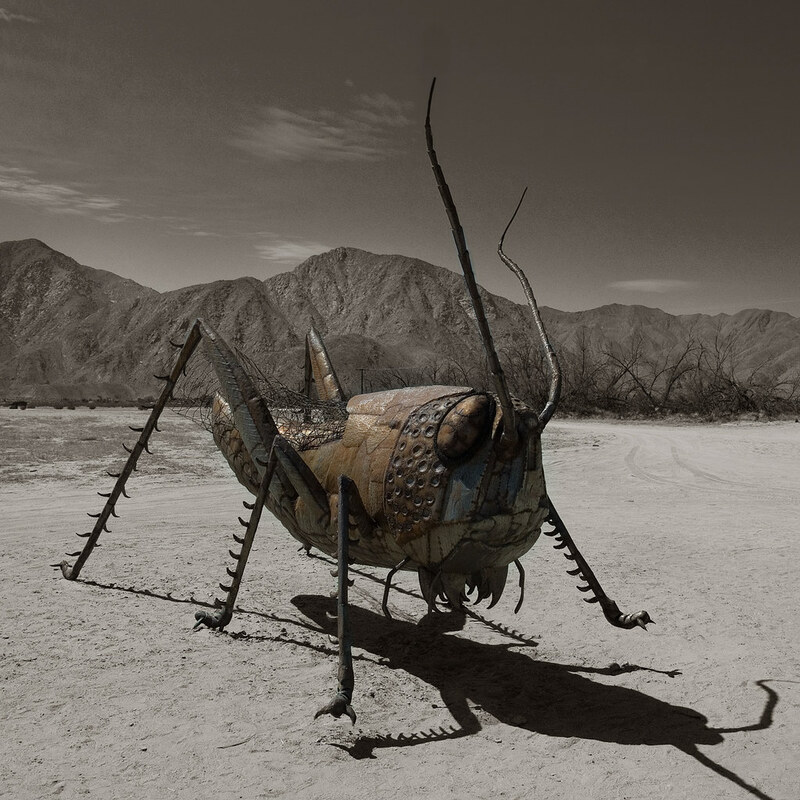 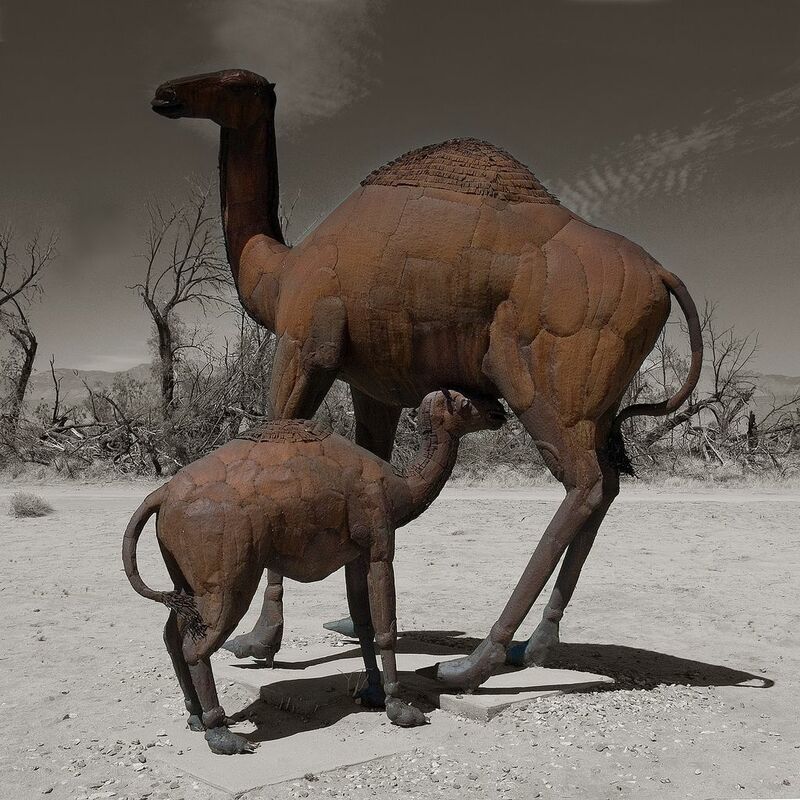 This unusual tourist attraction is a desert creature park open to anyone brave enough to face the desert and the unbearable heat that comes with it. 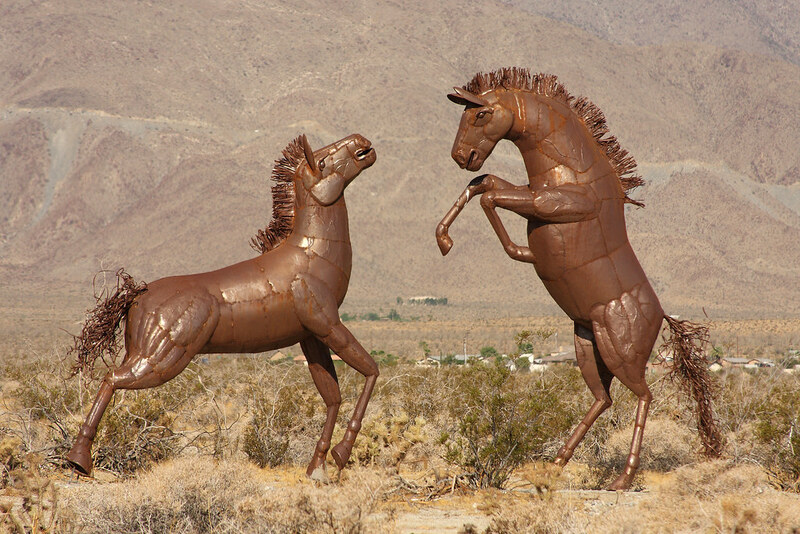 These pieces are highly detailed, well-made, and quite a unique. 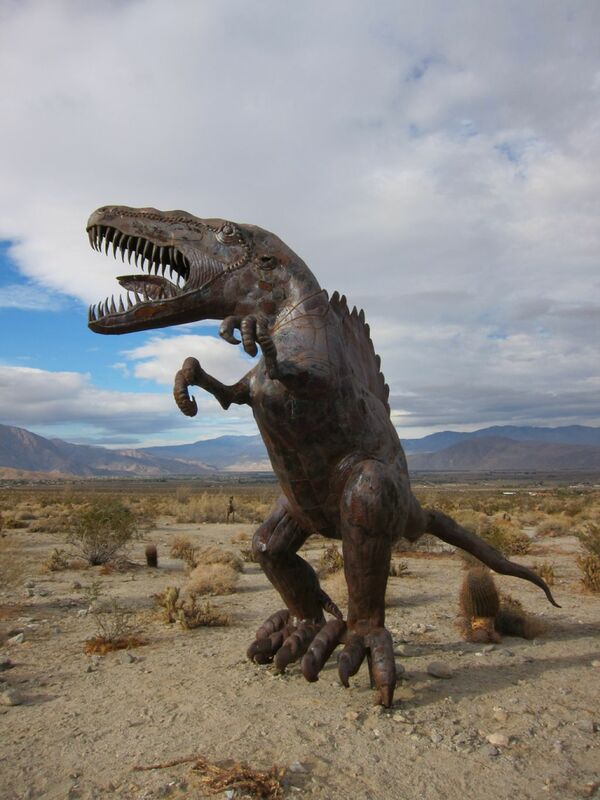 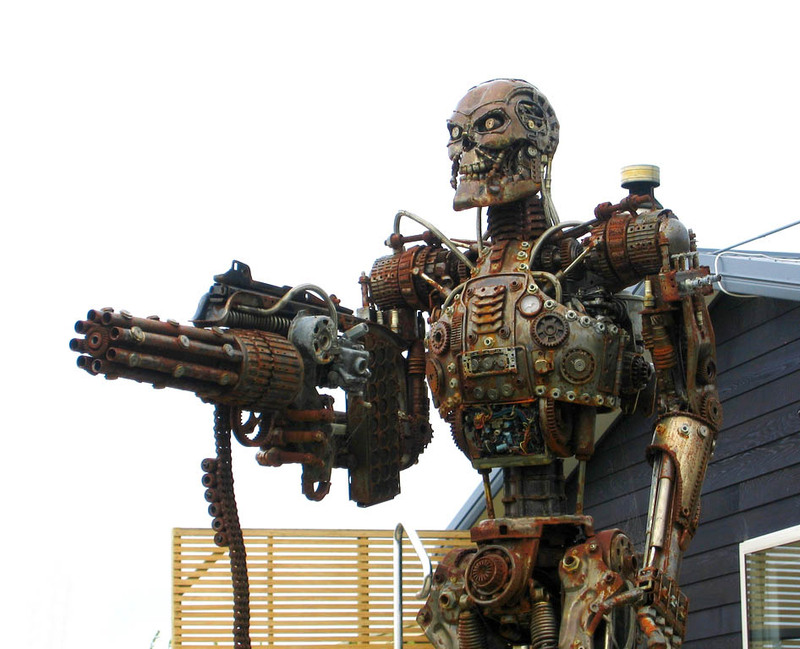 It looks insanely real with its sheet metal parts and its head grinded down for a very aggressive look. 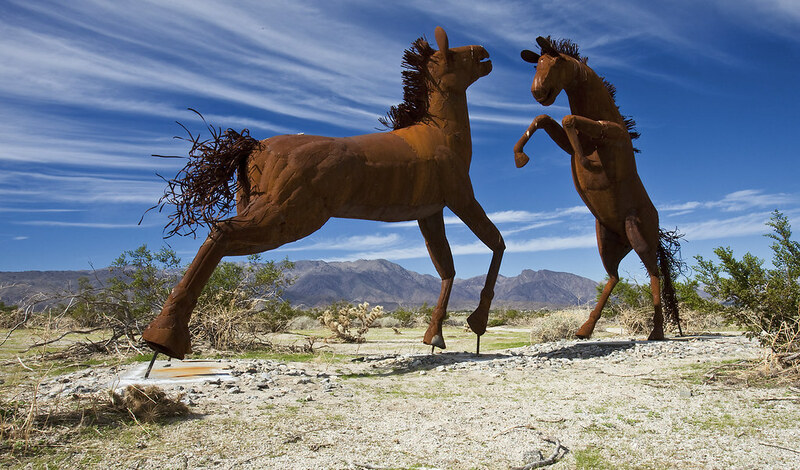 Sculptures are an important form of public art which have morphed significantly over the centuries.